grayson roofing slate | James River Slate Company, Inc.
Grayson Slate® Roofing is the classic unfading gray black roofing slate from Buckingham County, Virginia. This exceptional slate is quarried and fabricated by James River Slate Company®, a subsidiary of Vermont Structural Slate Company. Because of its superior properties and performance, reflective gray black color and rich texture, architects repeatedly specify this natural slate for institutional, commercial and residential roofing projects. It is appropriate for both traditional and contemporary architecture. 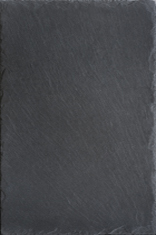 Being an “unfading” slate, this durable material will hold its basic color after many years of exterior use. Grayson Roofing Slate is available in many sizes and thicknesses. For more information on Grayson Slate and James River Slate Company, please visit www.jamesriverslate.com. Exceptionally strong and hard, durable, dense, low absorption rate, resistant to freeze-thaw cycles. Stain- and fire-resistant. No detrimental effects on the environment. Minimal. Broken shingles can be easily replaced with the use of a slate ripper.